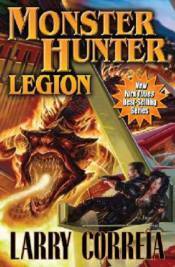 Book 4 in the Monster Hunter series. A conference in Vegas becomes a showdown between Owen Pitt and the staff of Monster Hunter International with an ancient god, one that could turn Sin City into a literal hell on earth. Monster Hunter International might be the premier monster eradication company in the business, but they've got competition.